Generally, I begin a travel guide to any island with information about the island, how to reach, what to eat etc. 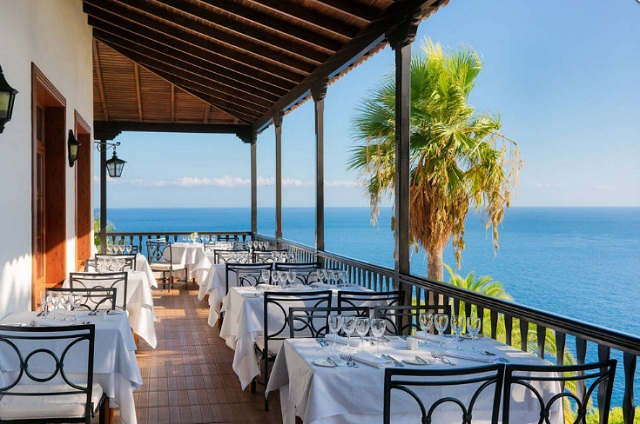 However, this time, I am writing about the staying options in La Gomera Island, specifically about Jardin Tecina, the hotel that is built with the most beautiful view in the world. Actually, I stumbled upon the pictures of Jardin Tecina hotel in La Gomera. I was captivated so much so that I ended up studying all about traveling to La Gomera Island, a Spanish Island located in the Atlantic Ocean. First, look at the images of hotel Jardin Tecina. 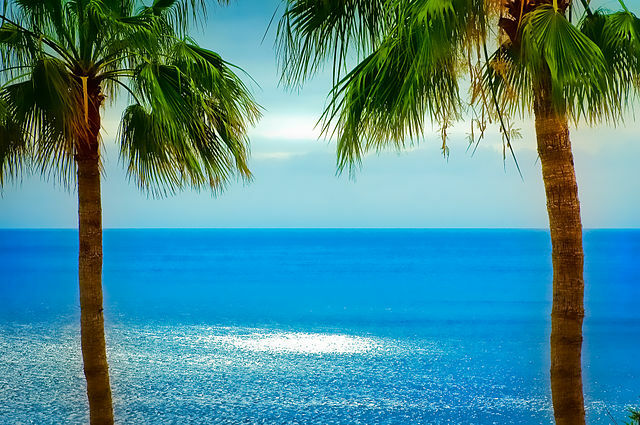 You get to see the majestic Atlantic Ocean from wherever you are in hotel Jardin Tcina. The calming blue of the Atlantic is seen and felt from the balcony of your hotel room, from the dining, and from your bedroom. Hotel Jardin Tecina’s location in La Gomera Island. La Gomera Island’s landscape is mountainous and that too volcanic. However, there is no fear of volcanic eruptions there. 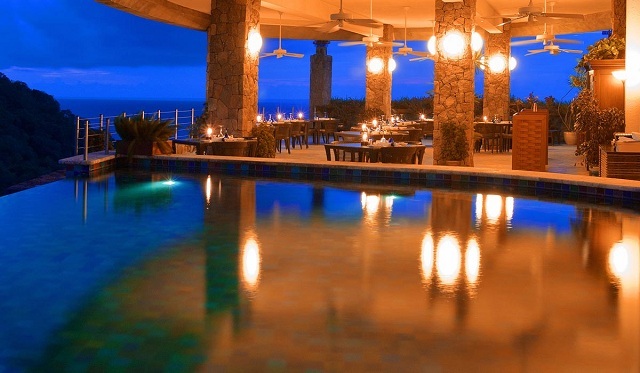 Hotel Jardin Tecina is tastefully located high on a cliff that promises an all-round view of the Atlantic Ocean. When you walk around Jardin Tecina, you will see yourself surrounded by rocky ravines, gorges filled with lush vegetation of laurel forest whose name is derived from the long and glossy leaf called ‘laurophyll’. Since the La Gomera Island is a highly popular island getaway for the Europeans, there are no shortages of hotels and villas in La Gomera. Let me speak about other accommodation later but first, my focus is on Jardin Tecina hotel. You might have noticed from the images given at the start of this article that the hotel bedrooms are spacious with comfortable bed, furnishings that are pleasing to the eye and the balcony overlooking the Atlantic Ocean. What else can you ask for in an island hotel? After all, you have come to be one with the ocean, its breeze, its distinct salty smell, and the pleasing marine blue color. La Gomera is an extremely popular island and always thronged by the tourists. It is advised to book your hotel room well in advance. 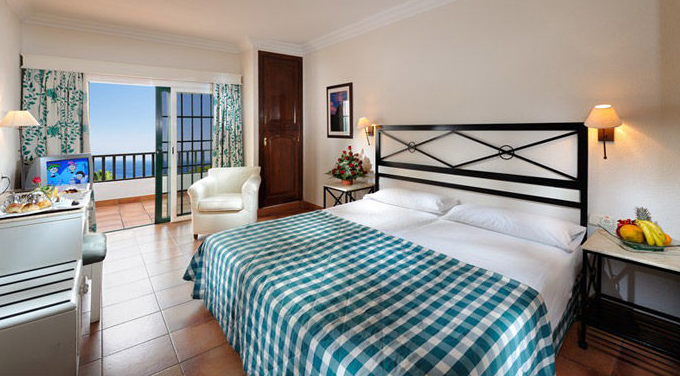 Hotel Playa Calera-It’s a beachfront hotel with superb views of the Atlantic. 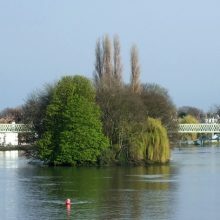 There are numerous offers for homestays also from the local Spaniards. You have seen the dining area of the hotel. It’s jutting out on the Atlantic and it gives you a feeling as if you are sitting on the space above the ocean water. On a twin sharing basis, you can stay for all of 7 nights in a standard room. 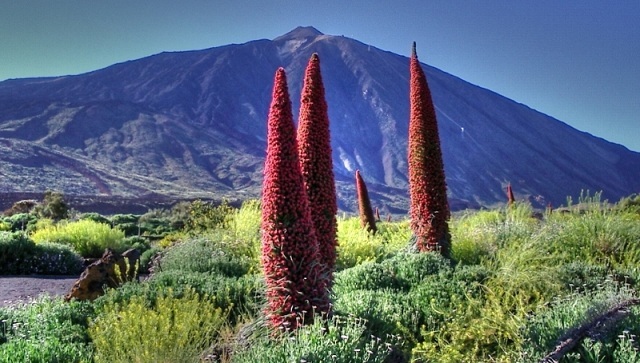 Have you heard about the Canary Islands? 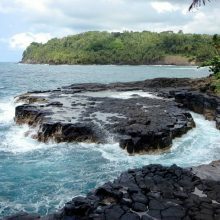 It is an archipelago comprising 7 main islands and several smaller islets. The Canary Islands belong to Spain. These islands are located in the Atlantic Ocean. La Gomera is one of the smallest Canary Islands and is located close to Tenerife Island. Though the Canary Islands belong to Spain, don’t imagine they are found as tiny small dots close to the Spanish coast. The Canary Islands are too far off from the mainland Spain. Tenerife, one of the main islands of Canary Islands is located at a distance of a whopping 1340 km away from Spain. There are no direct flights to La Gomera. You have to fly up to Tenerife and from there, you have to cross the sea and reach La Gomera in about 5 hours time. La Gomera Island is 150 km away from Tenerife. The original inhabitants of La Gomera used to communicate with their clan through a whistling sound. 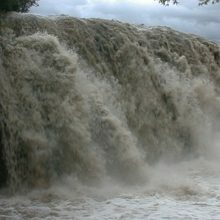 It is called Silbo Gomero. Since the entire island of La Gomera is mountainous, the locals who used to work in deep ravines will be communicated through this whistling sound only that can be said to be heard over 3 km away from the origin of the sound. 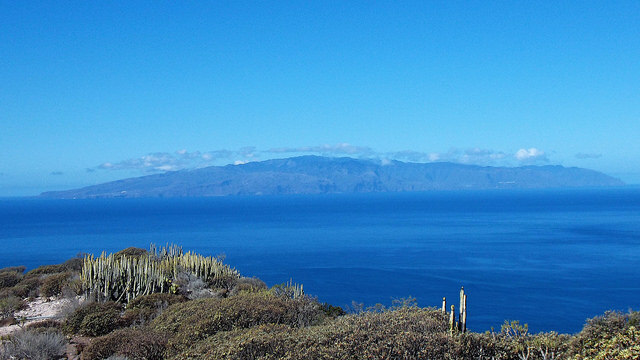 The legendary seafarer Christopher Columbus stayed in La Gomera for a full month with all his fleet. Christopher Columbus was gifted with sugarcane sticks by the local chieftain’s wife and that’s how the sugarcane reached the rest of the world. Goat meat is the favorite food of the locals. They also love roasted pork meat. 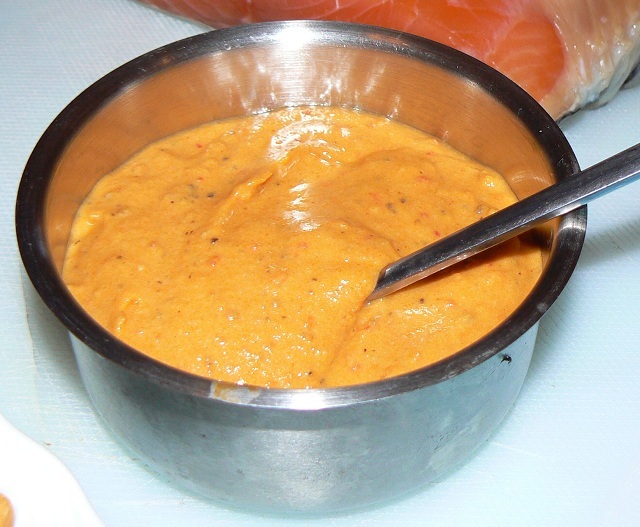 So, expect them to be served often in your hotel’s dining room. 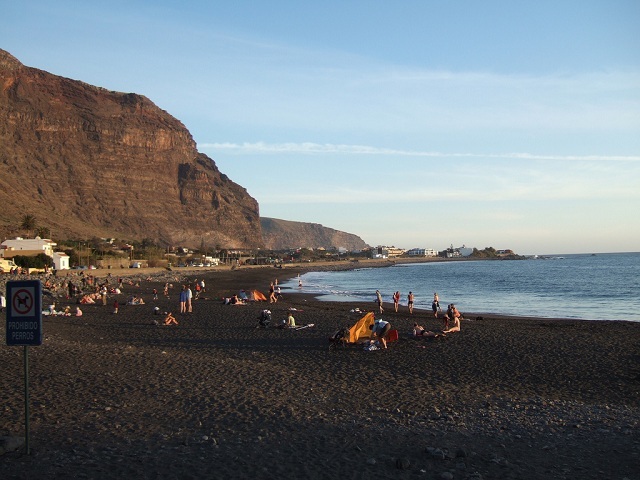 Being a Canary Island, La Gomera beaches wear black sand that adds a touch of wildness to the scene. Such odd color beach sand makes the La Gomera Island an exotic one. As you sit on the beach or if you take a short catamaran ride on the ocean, you can spot the friendly dolphins and whales. 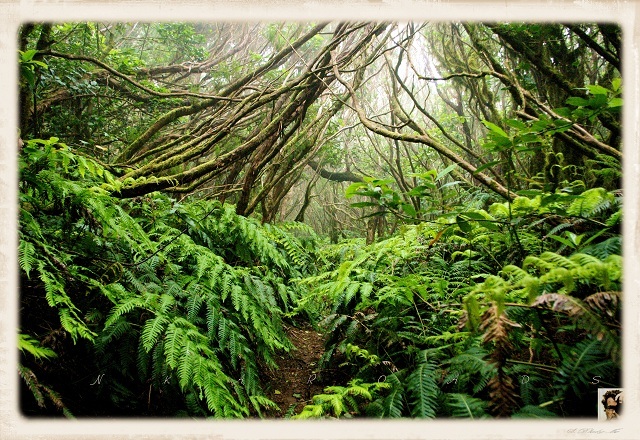 Nature walk through the dense Laural Forest is organized by most of the hotels in La Gomera. Black sand beach at Playa de Valle Gran Rey. Enjoying the beaches that include Playa de San Sebastian, Playa de Santiago, Playa del Medio, Playa de la Caleta, and Playa de la Cueva. Somehow, the islands in Atlantic and Mediterranean seas are liked by birds, especially the fish-eating birds. I think it is because of the abundant availability of their and lush trees that are used to build their nest, the exotic birds I the world are always found in remote islands. So, how do you like this travel related information to visit La Gomera, one of the Canary Islands of Spain? Pictures are certainly beautiful. It looks to be worth visiting.